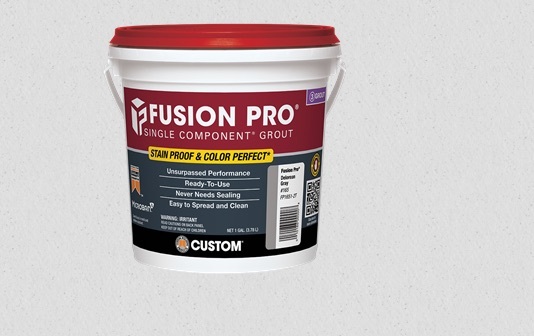 Custom Building Products, the leading provider of flooring preparation products and tile and stone installation systems, recently enhanced the formula of Fusion Pro Single Component Grout, making it easier to spread and clean. The only grout with a stain proof and color perfect guarantee, patented Fusion Pro is ready-to-use right out of the bucket and requires no sealing. Fusion Pro is ideal for interior or exterior and commercial or residential installations – and the formula enhancements have greatly improved the grout’s performance specifically in wet areas, such as showers. Fusion Pro grout cures hard and dense like cement grouts, but is not susceptible to the staining, mottling, fading or color shading common in its porous counterparts. As a result, contractors can avoid costly repairs or multi-part alternatives by grouting tile and natural stone with Fusion Pro. In addition, Fusion Pro is applied and cleaned immediately, with no wait for slaking or setting up, saving valuable time on each project. 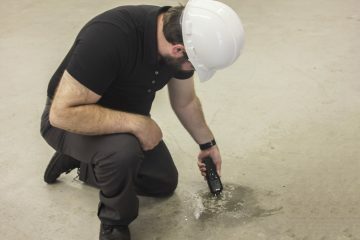 Appropriate for virtually all types of tile and natural stone with grout joints ranging from 1/2-inch to 1/16-inch, Fusion Pro offers a lifetime warranty that protects tile installations against common household staining agents such as foods, oils and non-acidic cleaners. Fusion Pro also delivers color consistency from bucket to bucket, helping ensure the desired appearance is achieved. Available in 40 standard colors and eight Designer Series options, Fusion Pro comes in one gallon and one quart pails and includes Microban antimicrobial protection. 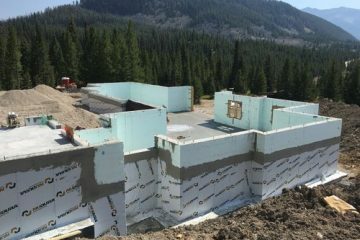 For more information on Fusion Pro, visit www.CustomBuildingProducts.com.